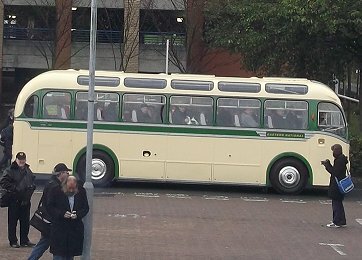 Prepared by Ian Smith, 5th December 2012. 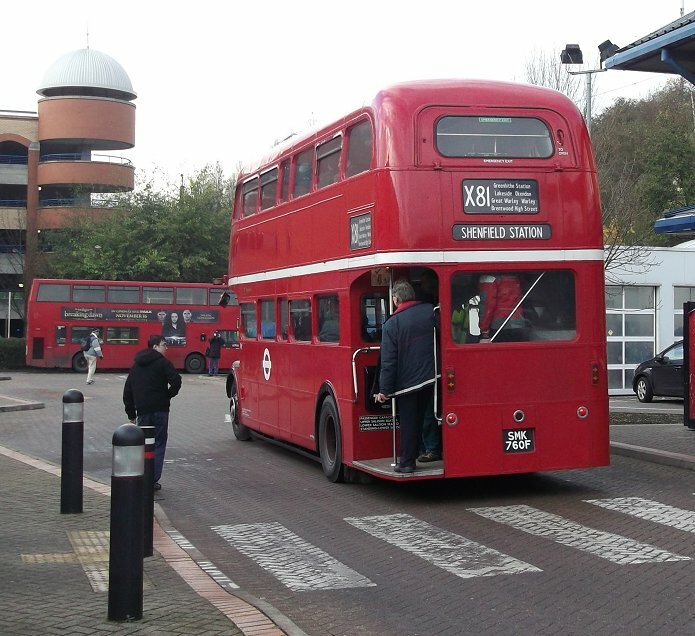 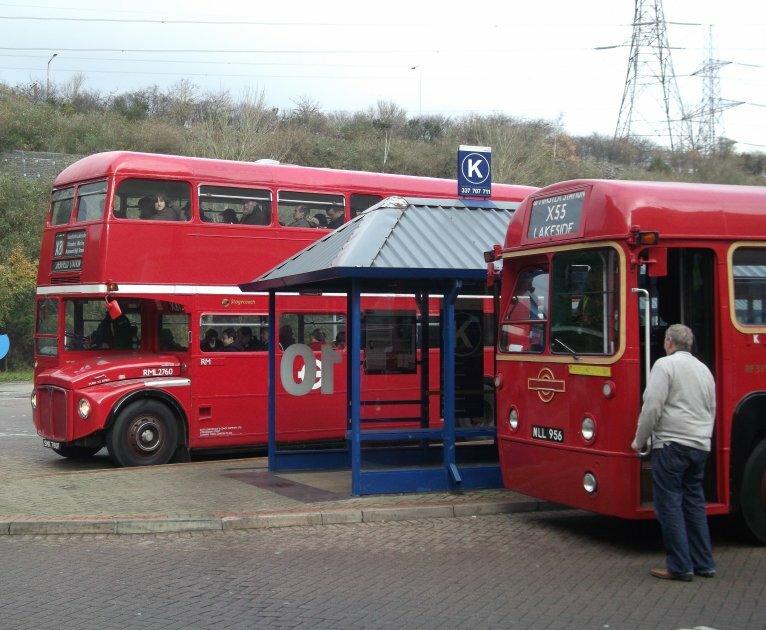 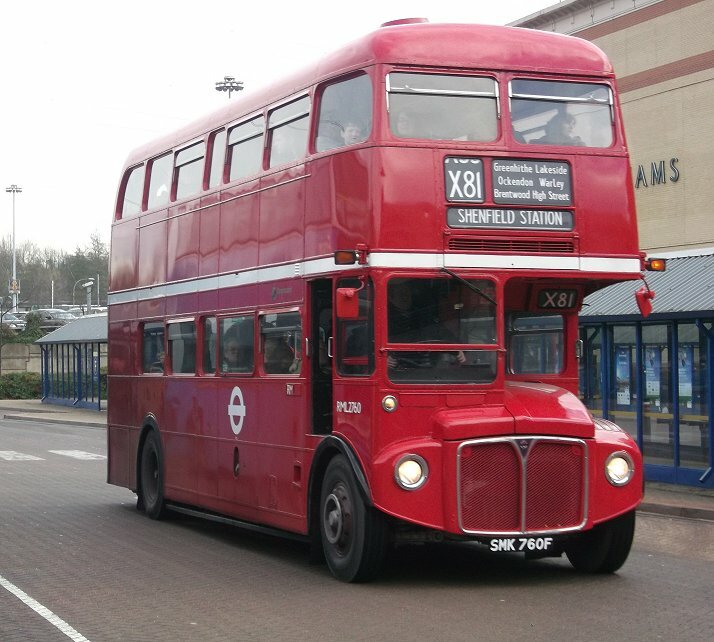 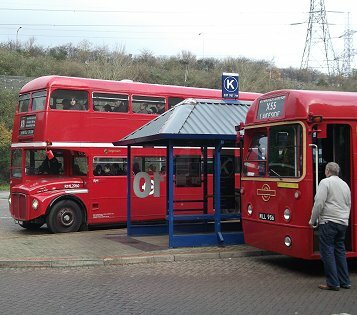 DM2646, resplendent in Shillibeer livery, rolled into Bluewater Bus Station on an X81 bound for Gravesend, closely followed by Stagecoach's RML2760, now with London bullseye again, heading the other way, to Shenfield Station. 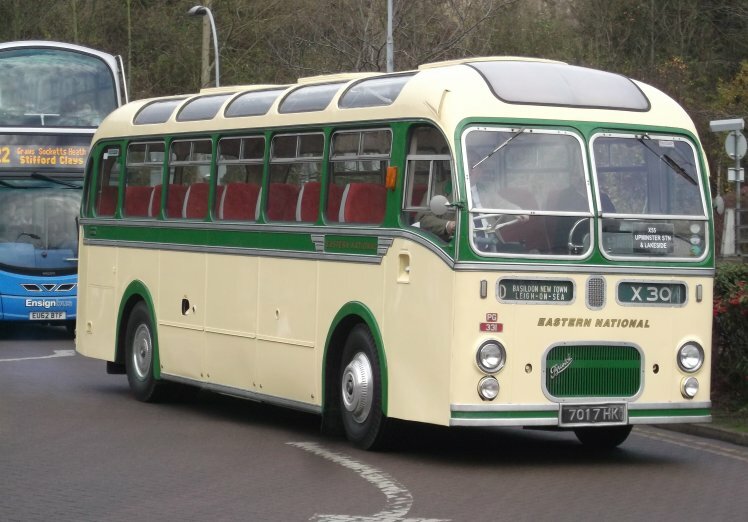 I sat behind the bonnet as the RML pulled round the Fleetline and set off, up the curling access roads out of the chalk-pit, and onto the main highway above. 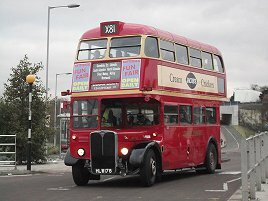 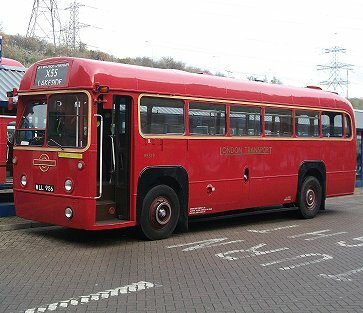 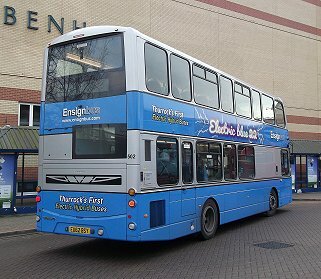 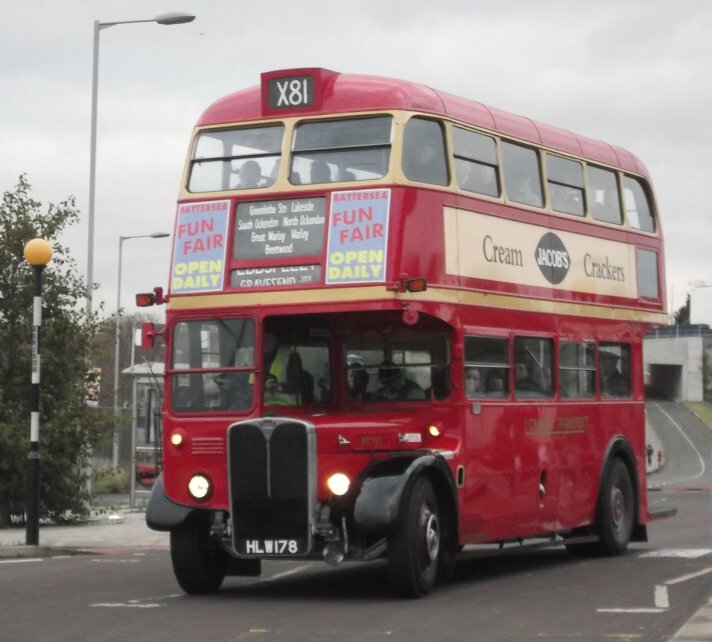 I noted Cravens-bodied RT1499 heading along towards Bluewater on the next Gravesend-bound run. We worked our way round to Greenhithe Station, then north beside the Thames towards the towering Queen Elzabeth II Bridge. 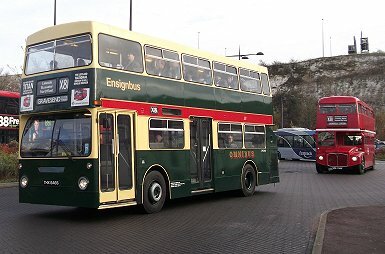 Another bus could be seen descending from the bridge towards the toll booths. 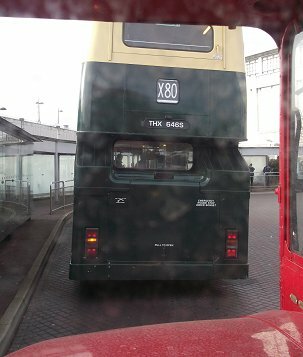 The curlicues of the road layout took us onto the tunnel approach, and soon we were passing under the Thames. 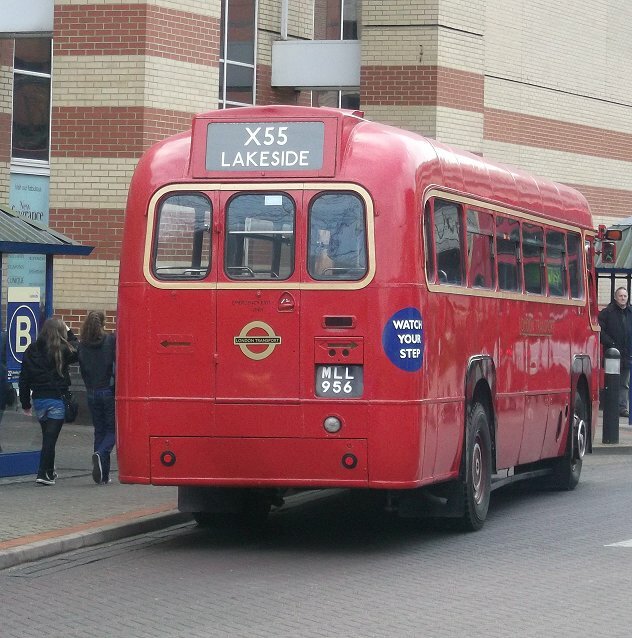 After more roundabouts we descended to the Lakeside shopping centre. I alighted from RML2760 there. It had pulled in to the wrong bay, so made a loop round the bus station to get to the correct stop for its trip to Shenfield. Then RF319 arrived with a good load on the X55, and pulled round onto its proper stand. 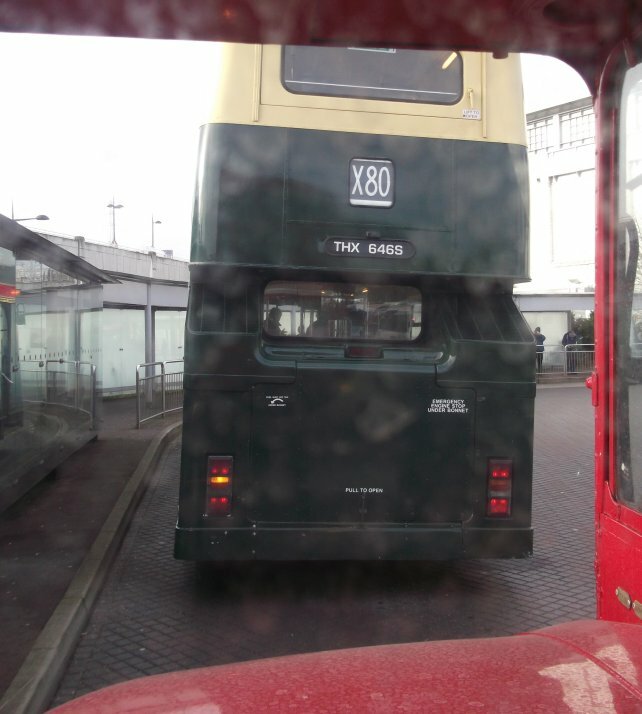 Having unloaded, it went to stand out of the way, conveniently alongside RML2760. Brand new Wrightbus hybrid 502 arrived on the 22. 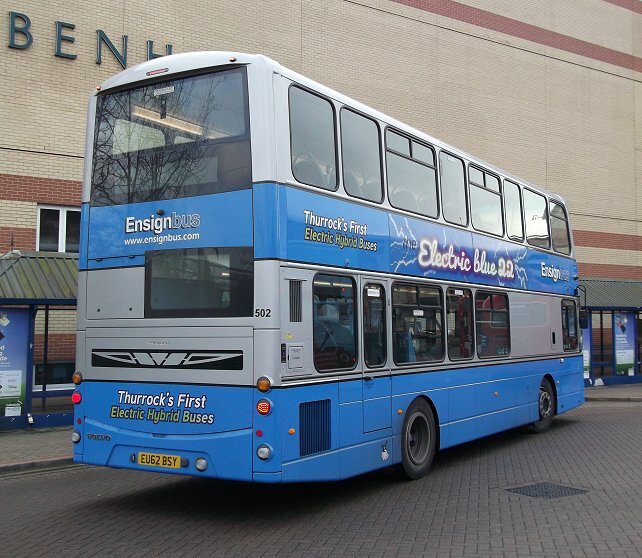 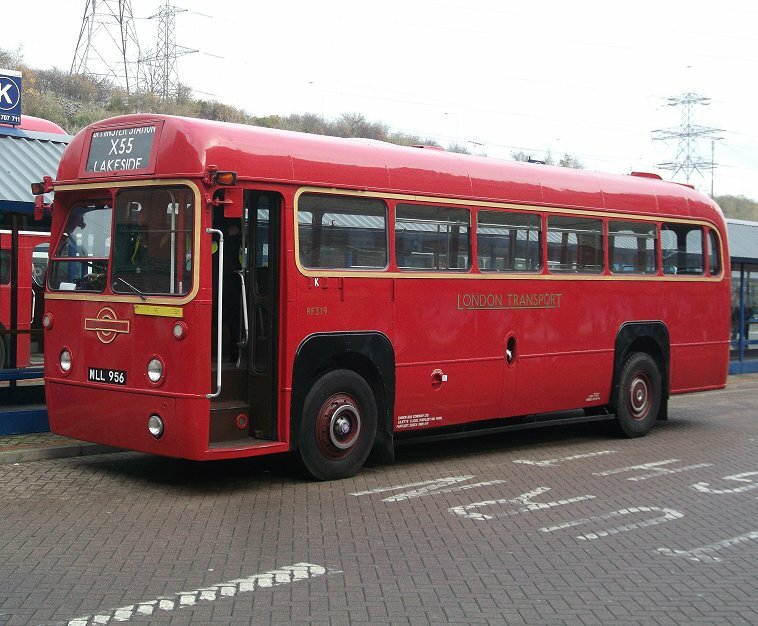 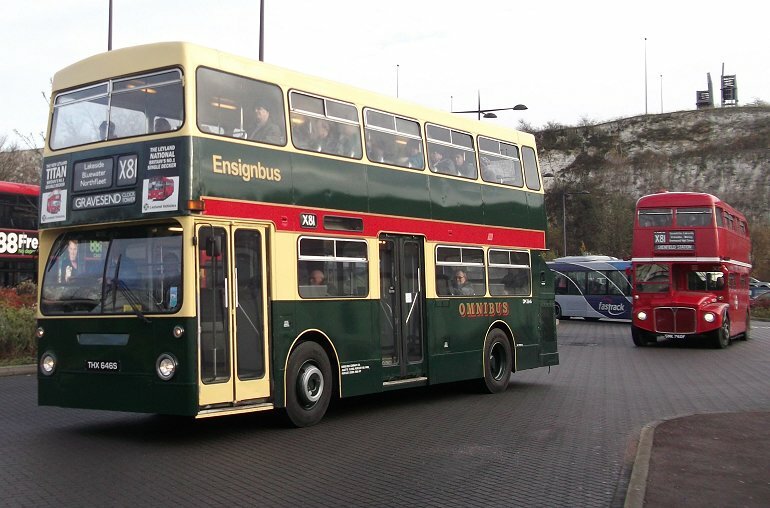 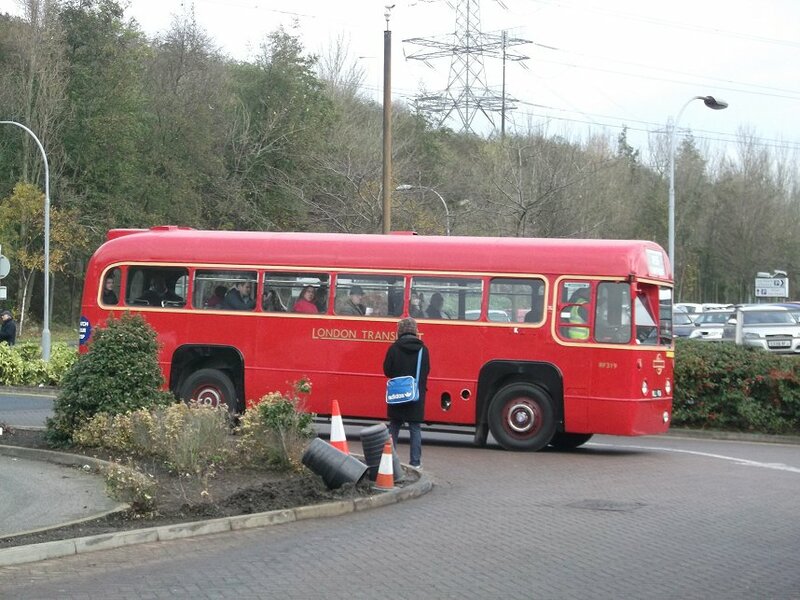 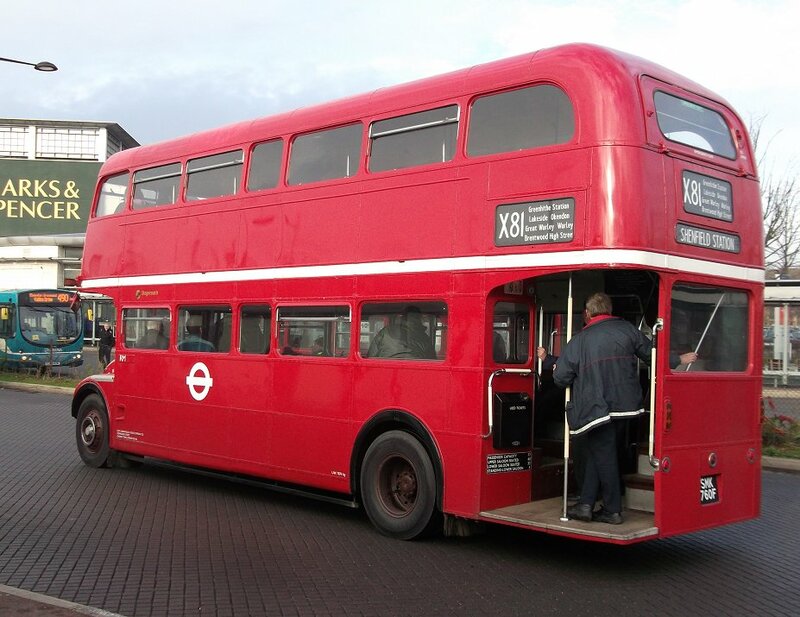 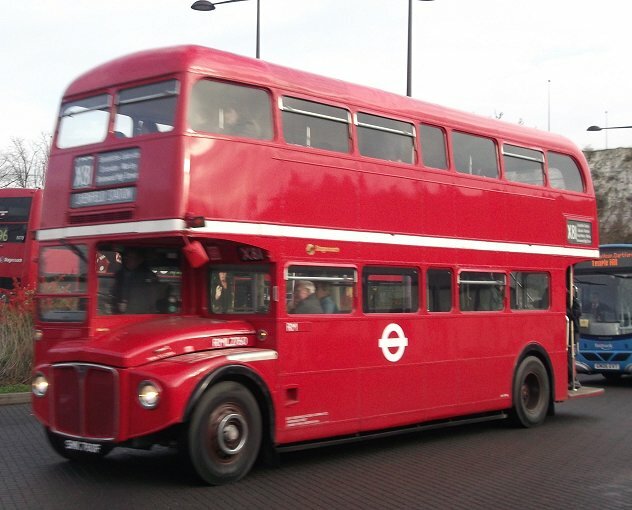 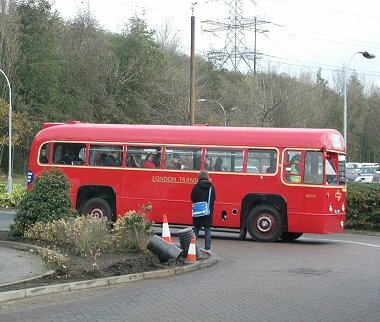 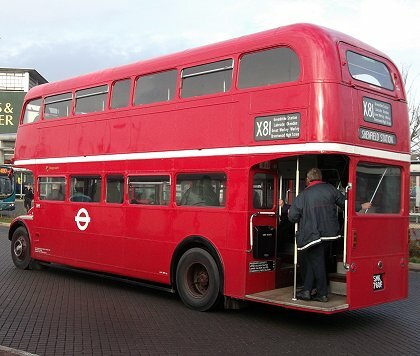 Also from the Ensignbus stable was Trident 192, previously TA92 with Metroline. 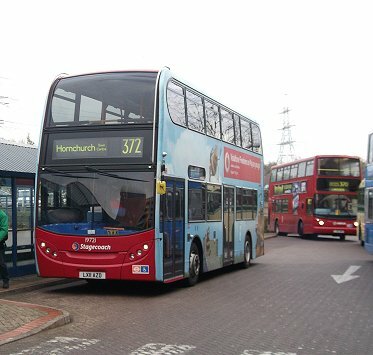 Another Trident, but this time a newer Enviro400 model, was Stagecoach's 19721, here on a 372 from Hornchurch. 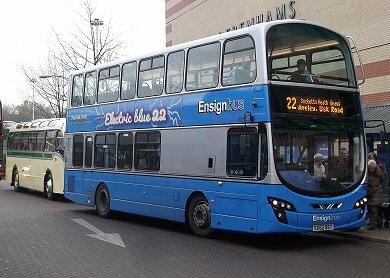 Its pale blue side advertising for Vodafone loses much of its impact here in Ensign-land where most buses are blue and silver. 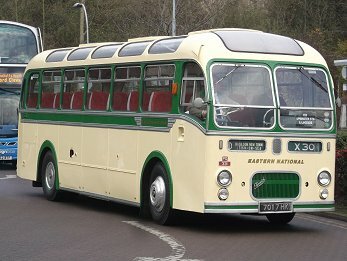 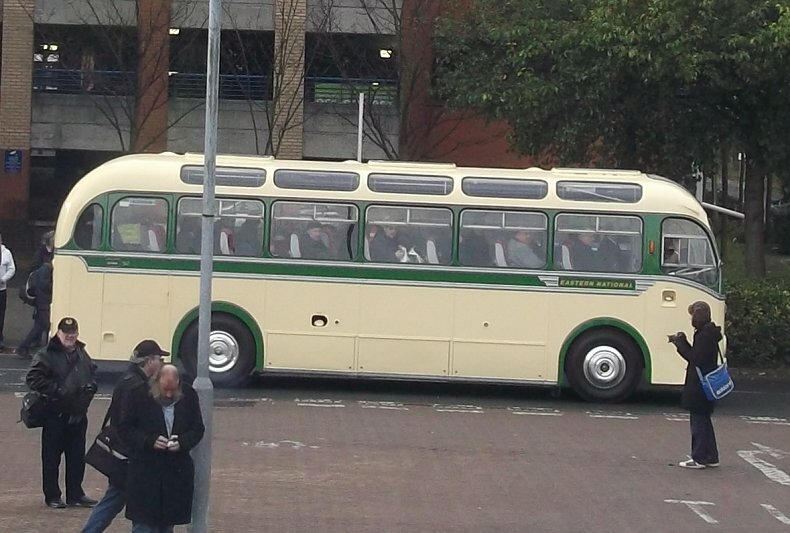 Of a different ilk was Bristol MW Eastern National 331, which arrived to take up duty on the X55. 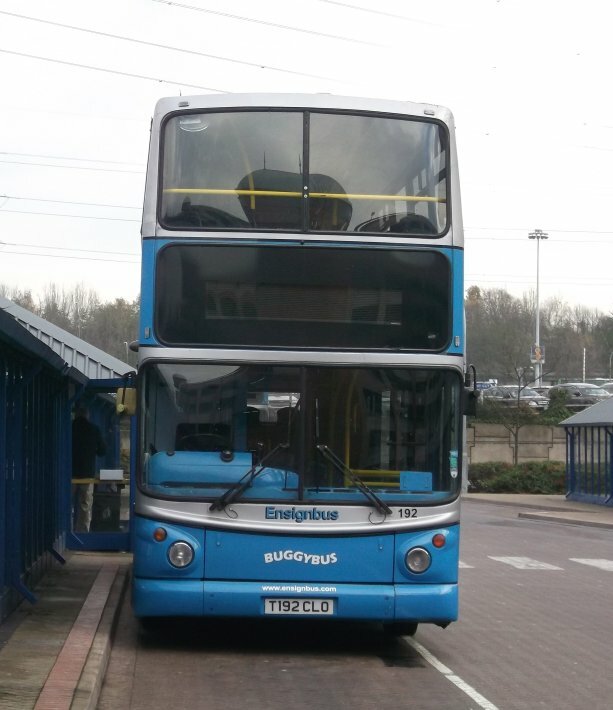 It left shortly afterwards with a full load.